Don't let your home or cabin become a maintenance nightmare! Even the best logs twist, split, shrink and "check" as they dry... dripping pitch on your carpet. Logs are also sensitive to humidity and often swell and shrink as humidity changes. Logs crack, settle and shrink... 4 or 5 inches... they cause doors to jam and windows to stick. Logs also need tightening, caulking and chinking to close up holes and gaps. 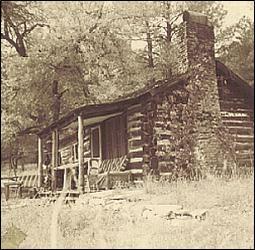 And after the home is built, maintenance is as necessary today as it was 200 years ago. 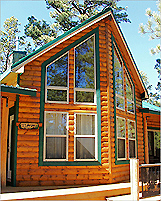 Cabin Kit homes use conventional pre-built "panelized" frame construction. Many of our customers use premium pine or cedar log siding because there's no twisting, no splitting, and no shrinking. It's easy to find a qualified builder-contractor. Cabin Kits are easy to build, cost-efficient, and easy to take care of... ideal for permanent homes as well as vacation getaways. 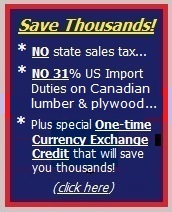 And the total cost is at least 50% less than actual "log" homes or cabins! Don't let your home or cabin become a maintenance nightmare! 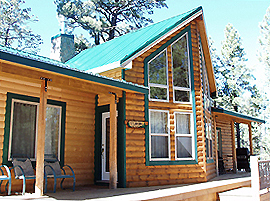 Below: Cabin Kit Homes kiln-dried Ponderosa Pine log siding. Get the "log cabin" look with our optional solid Ponderosa pine or Western Red Cedar log siding. 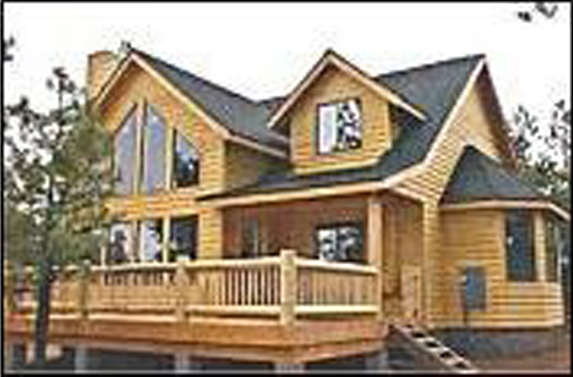 Our solid log siding goes on just like any other wood siding. No special tools, no extra labor, and it's all pre-stained in your choice of colors. It's easy to take care of, won't crack, twist or shrink, and never needs chinking or caulking... and never drips sap on your carpet.